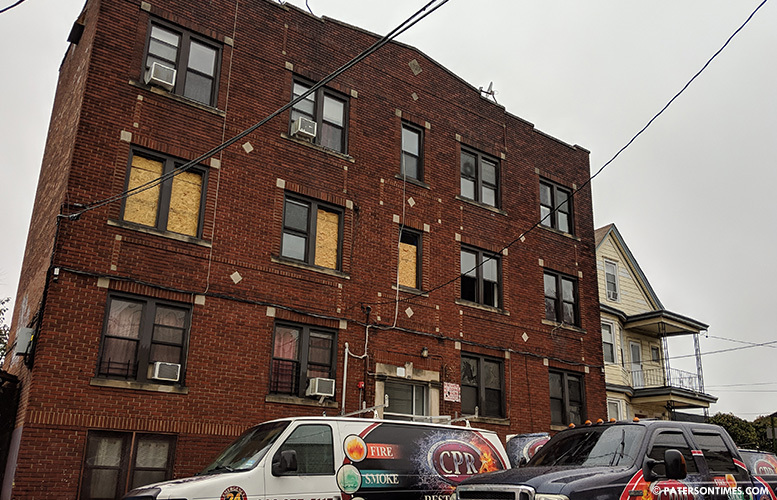 A fire broke out at an apartment complex on East 22nd Street early Tuesday morning, leaving 21 people displaced, said deputy fire chief Frank Calamita. Firefighters arrived on the scene to find fire and smoke on the first and second floors of the three-story complex at 466 East 22nd Street. Calamita said the fire came in at 5:25 a.m. He said there were no civilian or firefighter injuries reported. The chief said two units were damaged by the second-alarm blaze in the 13-unit apartment complex. He said other units sustained water damage. Fire was brought under control at 6:47 a.m. Cause of the fire remains under investigation, said the deputy chief. The 21 displaced residents are being helped by the American Red Cross. A crew began boarding up the apartment complex on Tuesday afternoon.